Looking for something different in a purse to carry on your wedding day? Try this elegant purse by Clara Kasavina! 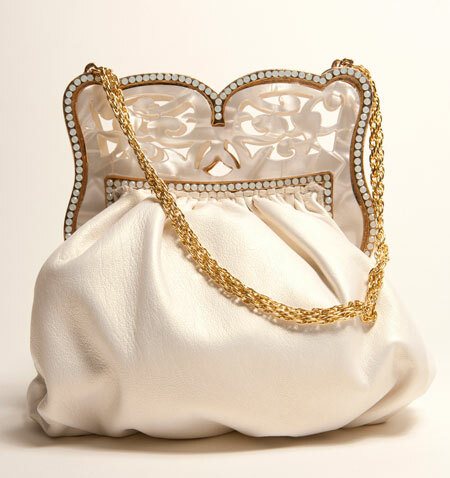 This darling bag, called Sadie, is one of the newest additions to the ever-popular wedding collection. The purse is handmade leather with Swarovski beading surrounding a hand sculpted metal frame with a cutout plastic insert. It also features a lovely 5x7 tuck chain in gold or silver depending on which color you choose.